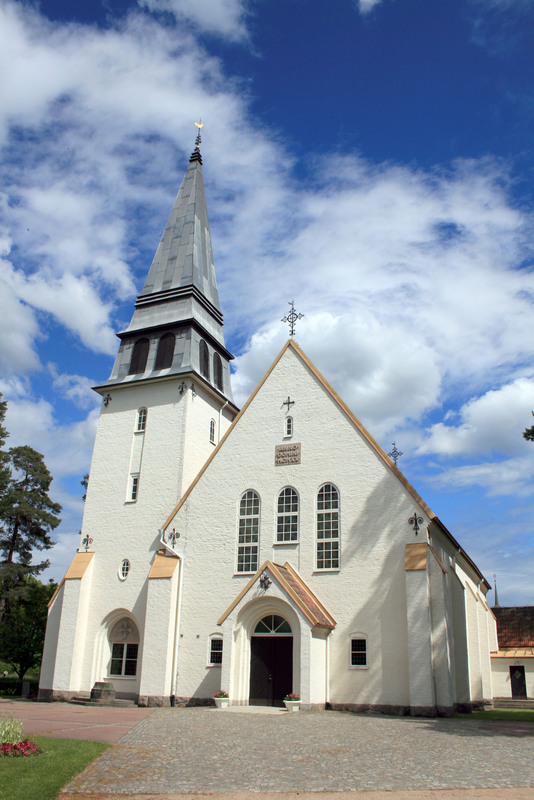 The first church on this site was designed and built by architect Almquist and inaugurated in 1920. It was completely destroyed by fire December 20th, 1984. Only the brick walls remained though a font, church silver and textiles were saved. It was rebuilt according to plans by Jerk Alton reusing the original walls. It was inaugurated again in 1987. It is built in the National Romantic style with an irregular shape.